Develop new food-based entrepreneurs and build a neighborhood-based economy in the Hancock Corridor community. Serve as a community resource and gathering space for the Hancock Corridor community. Serve as a model and demonstration site for the county and region while providing an additional source of fresh, affordable produce. The site of the market, the West Broad School, has a rich history in community agriculture and food. In the late 1800s, the West Broad Elementary School was established as an African- American Elementary School. At the start of the 1900s, Samuel J. Harris, the school’s principal, instituted cooking, gardening, sewing, agriculture courses for adults and children. After being left vacant starting in mid-1990s, in 2012, with the blessing of African-American Community Leaders, support of the Clarke County School District, and funding from USDA, Athens Land Trust (ALT) began developing the site of the West Broad School for a community market garden and farmer’s market. The West Broad Market Garden is Athens’ first-ever community based, Certified Naturally Grown urban farm and has produced over 13,000 pounds of produce during the first two years. 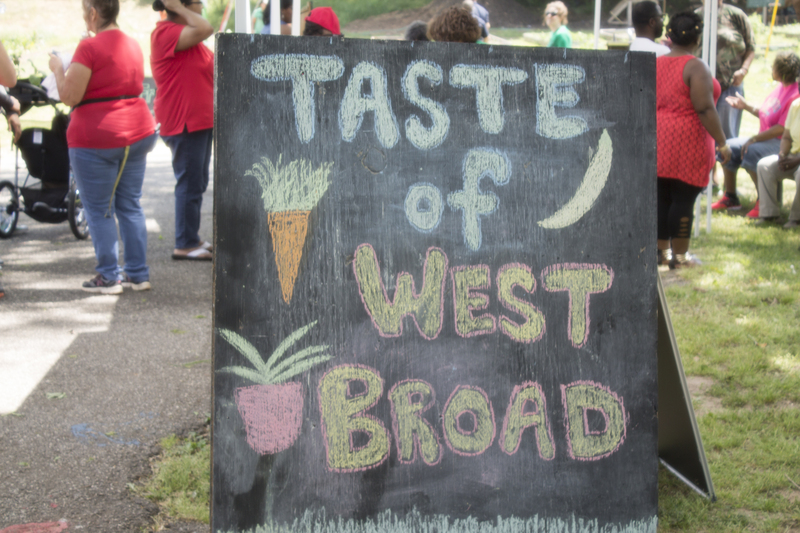 200+ people shop at the West Broad Farmers Market and produce stand each week, bringing naturally and sustainably grown produce to a historically marginalized neighborhood. – Michael L. Thurmond, Georgia’s former Labor Commissioner and author of A Story Untold: Black Men and Women in Athens History.